As I delved into becoming a professional ghostblogger, one of the things that struck me the most was that many of my clients were dying to land guest posting gigs with big websites in their niche. 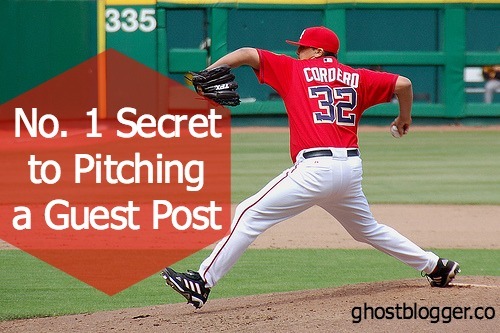 Writing a great guest post is one thing, but knowing how to pitch a guest post is another skill entirely. Too often, bloggers will submit a guest post and never even mention the number one most important thing they should bring up! For once in his life, Clark Kent made the headlines (instead of his alter ego) in 2012 when he quit his job at the Daily Planet to become a blogger. A sign of the times? Maybe. Newspaper readership is down. Newspapers are closing right and left, leaving journalists looking for work and turning to digital media to find it.